ChARM EHR helps dentists in providing preventive and restorative treatments for problems affecting the dental areas. ChARM EHR is ONC-ATCB certified for meaningful use for ambulatory setup. It allows you as a dentist, to define various custom templates according to your treatment needs. Being web based, it allows you to access your patients' records anytime with mobile devices with internet access. Using the dental chart available as part of the consultation note, you can mark missing teeth, hidden teeth, plaque, etc. 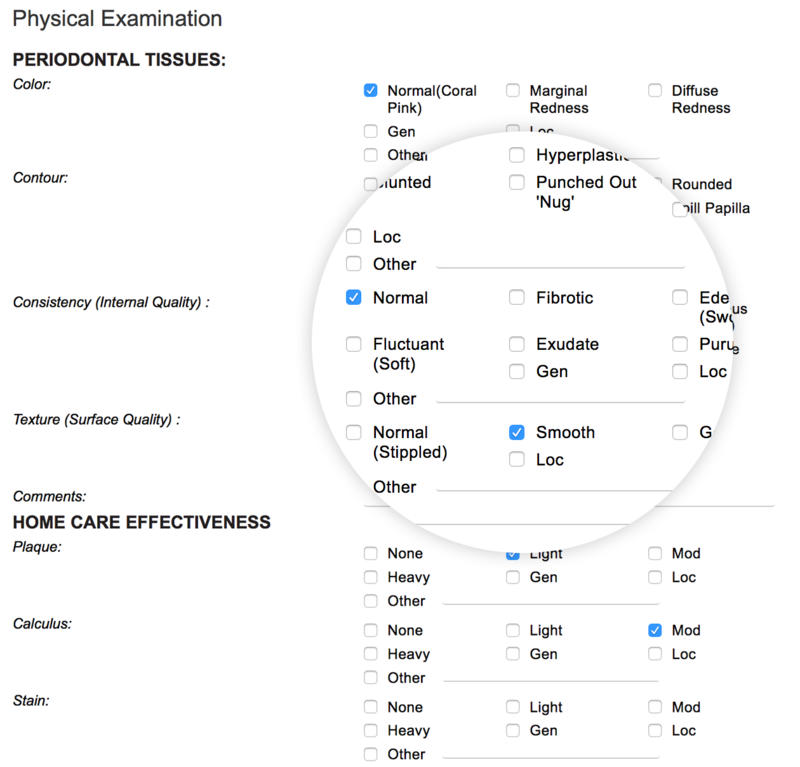 ChARM EHR provides customizable templates for a variety of dental problems, so that the consultations are made easy and you can focus on the procedure to be performed. 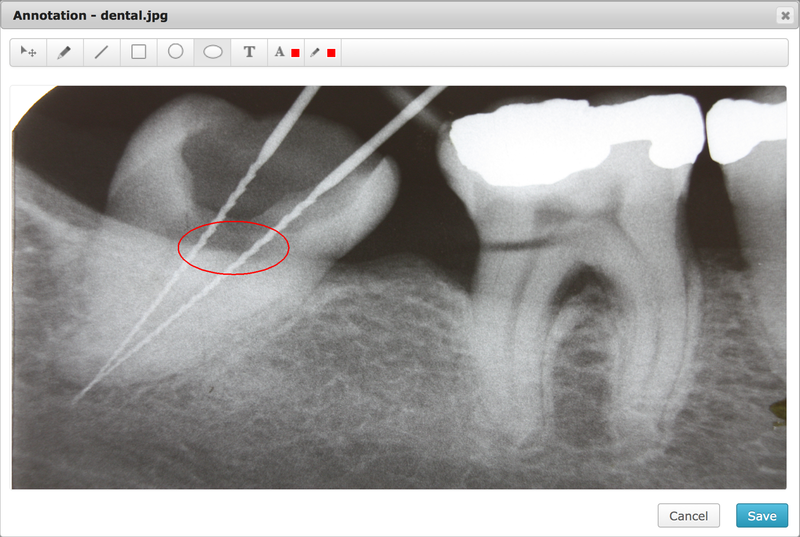 X-ray films of the patients tooth can be uploaded into ChARM EHR instantly and the image annotation tools allows you to mark and comment on specific areas in the image. ChARM EHR integrates itself with lab chains, allowing you to check for patient's lab results prior to the procedure. For instance, you can check up their blood glucose levels, Bleeding Time, Clotting Time, etc. which are very much essential in making treatment decisions. ChARM EHR allows you to publish your schedules through the patient portal as well as your practice website. This enables patients to book appointments for their regular dental checkup visits, crowns & bridge, root canal procedures etc. Access the medical history of patients is very vital for performing certain procedures. For instance, if a patient is a cardiac and taking anti-coagulant medication, you may advise them to stop taking it for a couple of days before they come for tooth extraction, etc. ChARM EHR offers best-in-class collaboration platform which enables you to communicate and engage with their patients after their office visit. They can send secure messages, schedule follow-up visits, etc. Simplify patient check-in process with your iPad enabled ChARM Kiosk application. Patients can simply enter contact info, insurance info, fill up questionnaires before the encounter, thereby reducing overall wait-time at the front desk.